News has been received by his wife and young son, who live at 23, Cuerdale-street, that Coy. Sergt. Major George Moran, has been awarded the Military Medal for meritorious service in the field. Following a bombardment on the Anzio position, several of his comrades were trapped beneath debris. While still under shell-fire he led a number of his men and succeeded in rescuing several of them. Before joining the Army eleven years ago, Coy./Sgt. 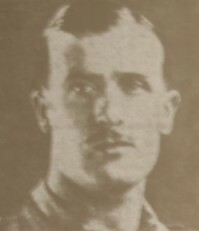 Major Moran was employed by the Walshaw Mill Co., Harle Syke. He was drafted to Shanghai over seven years ago and was in Singapore when war broke out. He was later transferred to Sarawak, where he was engaged by the Sarawak Government as ain instructor. When the Japanese had almost overrun the island, he succeeded in escaping to Borneo and later to Java, coming to England two years ago. After eight months here he was sent to North Africa, where he took part in the Tunisian campaign, the landing on Pantellaria, and finally Anzio. He is 29.